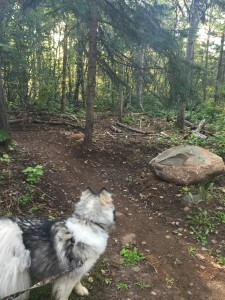 For this series of Duluth adventure posts, I am going to set my goal of posting once a week by Sunday night. 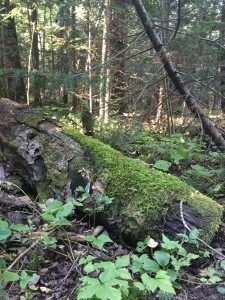 This week I’m writing about two hikes, and that’s because I’m so excited about this new idea! Having a blog to write and a deadline will keep me from just saying “I should hike more” without actually going and doing it. 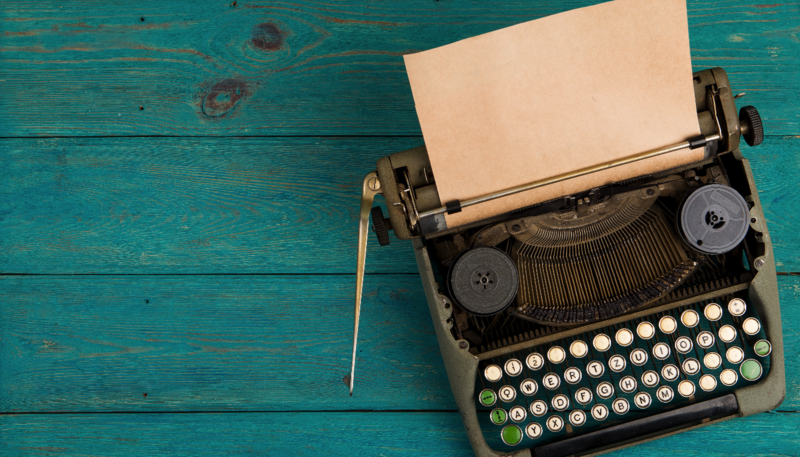 I also like the idea of sharing all of the cool things about Duluth with others. Saturday morning, we headed up to Hawk Ridge. 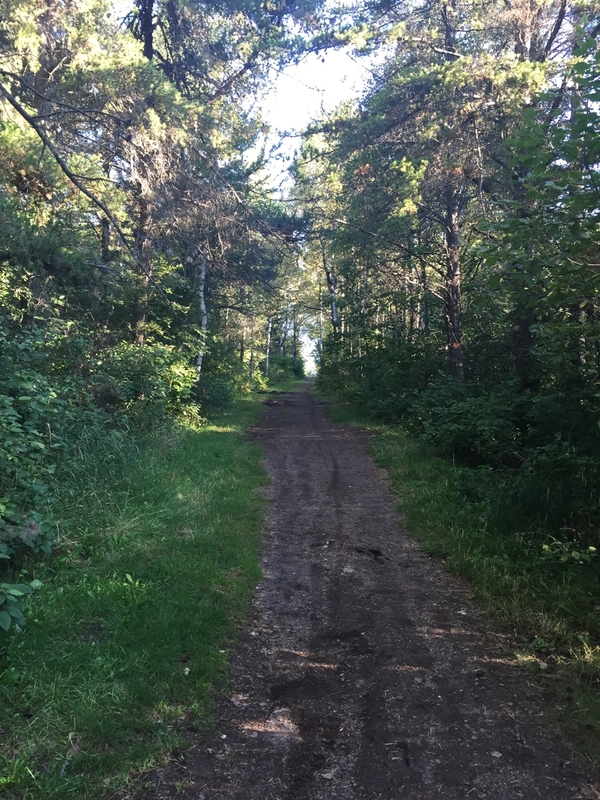 It’s really silly how little I’ve hiked on the trails at Hawk Ridge, since it’s literally a 5 minute drive from our house. Possibly less. And the only real hike I’ve done there was a pre-planned activity for a summer youth program I was volunteering for that year. Time for Chris, Astrid, Gru and I to do some exploring of our own. 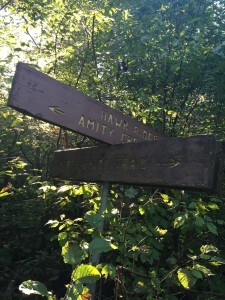 Hawk Ridge is best known for, well, hawks. 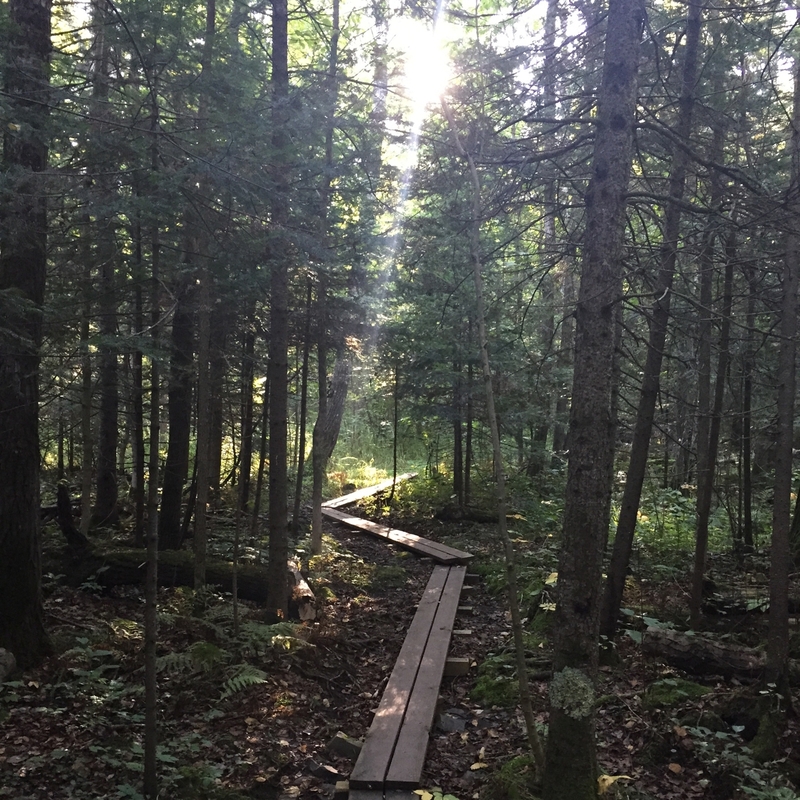 The ridge overlooks Lake Superior and, in the fall, is right on the migration path for thousands and thousands of birds headed south. 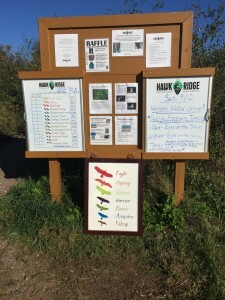 Each fall, there are booths and events set up at hawk ridge so people can learn about the migration, and crowds of people gather with binoculars and telescopes. 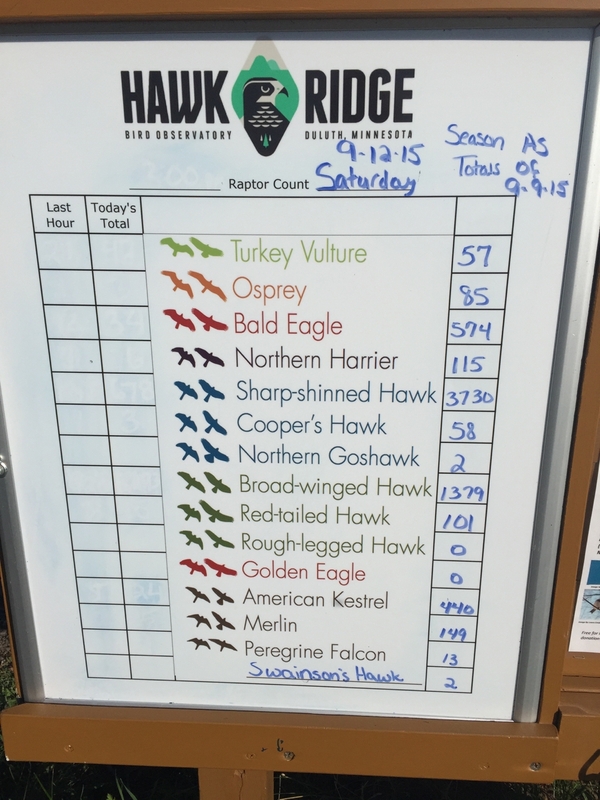 To learn more about all the cool things the Hawk Ridge organization does, visit their web site. While I’ve been to Hawk Ridge in the fall before to partake in all of these activities, our purpose Saturday morning was simply to explore. We parked at the first trailhead we saw and took off down what turned out to be a short spur trail. So we turned around and tried again, this time taking the wide snowmobile trail. 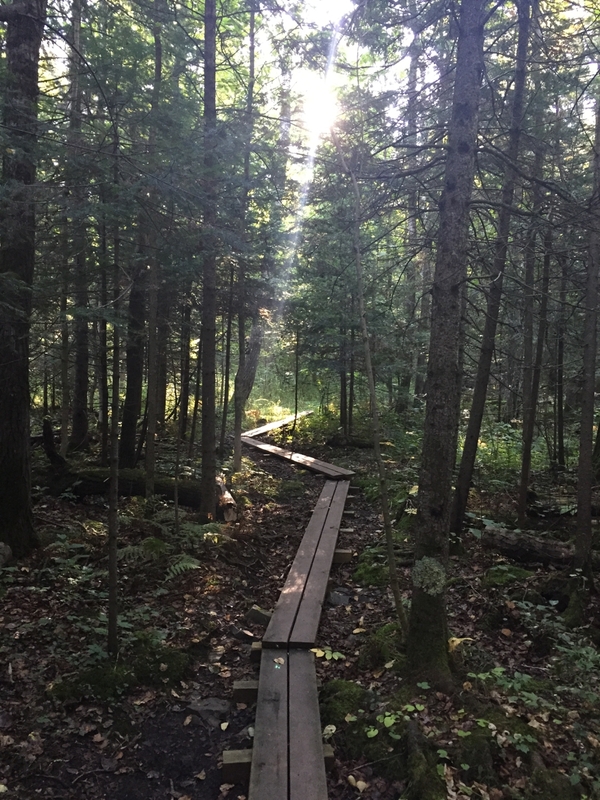 I was disappointed to not be hiking on more woodsy trail, but I was in luck–the snowmobile trail provided access to the much woodsier chunk of the Superior Hiking Trail labeled as “Amity Trail” on this map of all the official trails at Hawk Ridge. 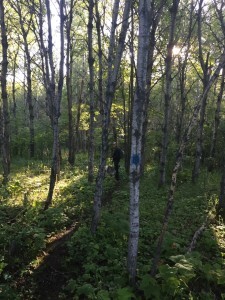 The trail was narrow with lots of vegetation to brush past, but always clearly marked with blue blazes on the trees. 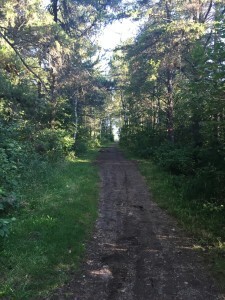 Just when I was beginning to worry that it was a little too even and flat, we began to climb uphill steadily. Astrid squealed excitedly on my back at all the new sights she was taking in. Gru kept focusing in on things he spotted in the woods, but we never did figure out what he saw. 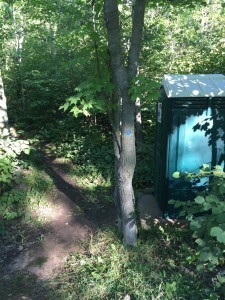 The trail emerged onto the road next to a big green port-a-potty, which I was thankful for. It was the cleanest port-a-potty I’ve ever seen! We found ourselves on the opposite side of the overlook from where we’d started, so we walked back to our car on the road. 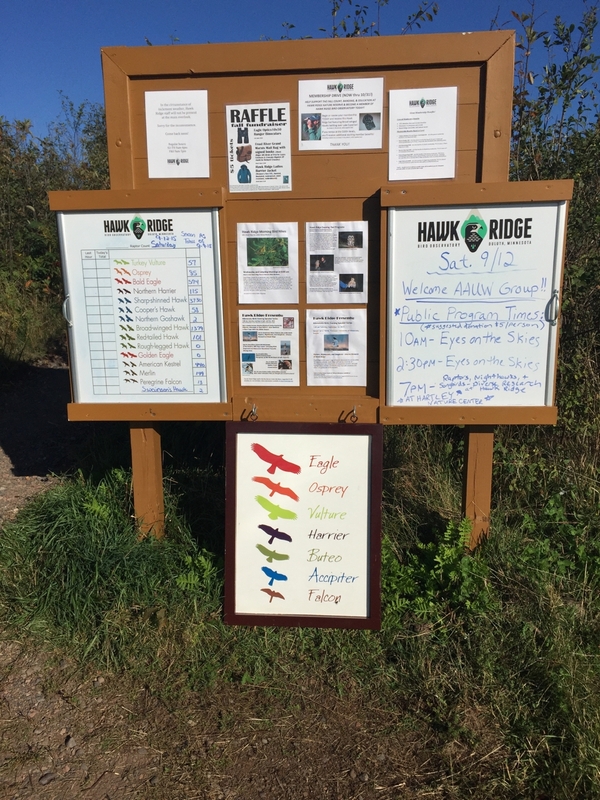 To our delight, we found setup of the Hawk Ridge activities in full swing, and talked to a very enthusiastic birder who’d traveled to Duluth just for this. We couldn’t stay for any hawk watching, but we’ll definitely be back–for more hiking and to watch the skies. 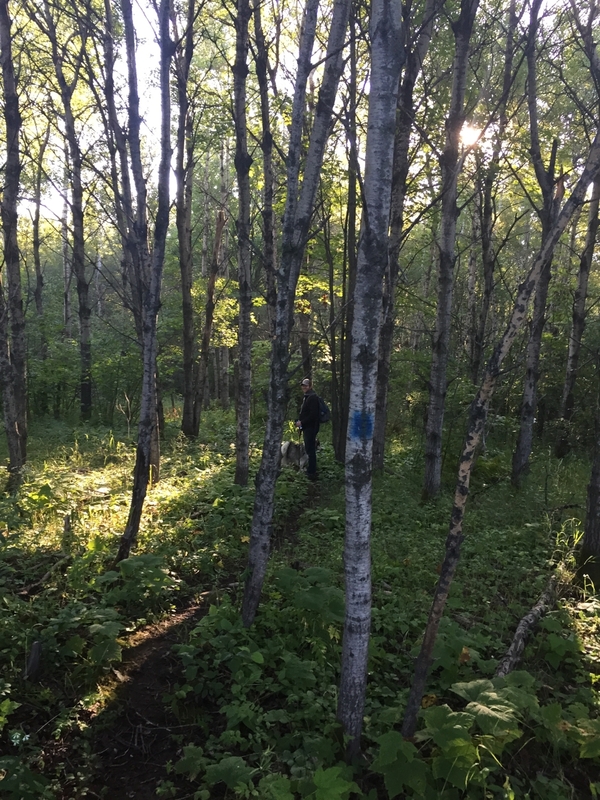 The snowmobile trail also crossed paths with the new mountain bike trail. I’m no mountain biker, but it looked like a well-groomed trail. 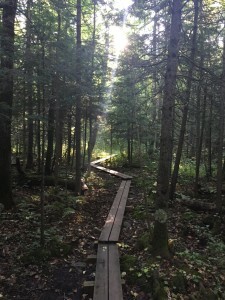 The snowmobile trail at the trail head. 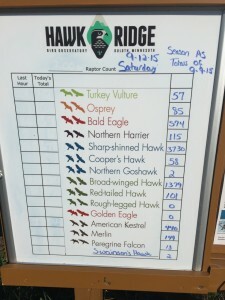 One of the info boards with all the hawk watching info. The end of the trail, and the cleanest port-a-potty ever. Clean from lack of use? Who knows! 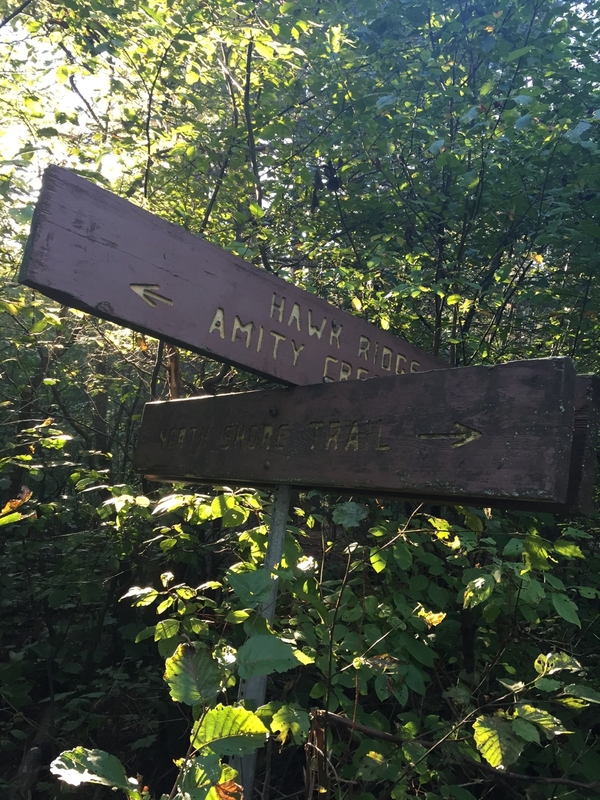 Sign where the snowmobile trail and Amity Trail meet. I tried out the panorama function on my iPhone to get this shot of Lake Superior from Hawk Ridge. I went a little far to the right.